Madeline Conroy, class of 2016, has been published in the Herald, the school newspaper for Hobart and William Smith. 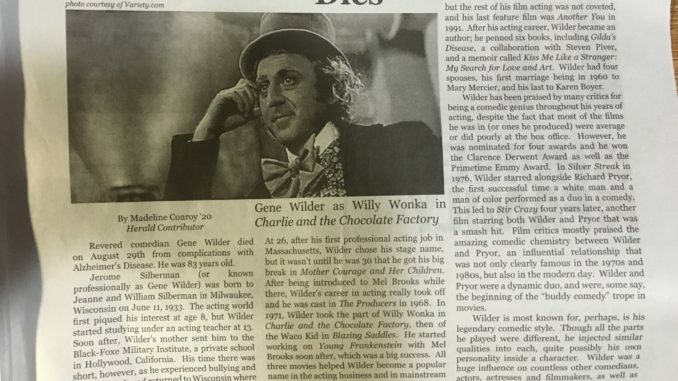 Her article, “Influential Comedian Gene Wilder Dies,” was published in a recent issue of the newspaper. Maddy was a long time writer at the Blackbird Review, where she published poetry, essays, book reviews, and digital photographs. Congratulations to Maddy on continuing to write at the next level!